Your non working spouse might be more fiscally attractive than you thought so far. A refund can be obtained. How does that work? 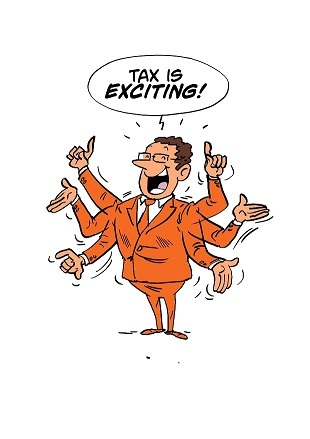 If you work in the Netherlands you pay income tax in the Netherlands. If your spouse is not working, then your spouse is entitled to a refund because you do work. There is a minimum income requirement, but basically if you earn more than EUR 10.000 annual salary, your spouse can have a full refund. Why the non working spouse refund? In the Netherlands we believe partners should be treated equally, hence the working partner can cash the general tax credit against the income tax due over the taxable income. The non working spouse cannot cash the general tax credit by lack of taxable income. As this is regarded an unwanted effect of not having an income, the general tax credit is paid out to the non working spouse. How is the non working spouse refund paid out? To claim this refund, an income tax return needs to be filed. That income tax return is in general filed by the two related tax partners. The one provides the income details, the other provides nothing by lack of income details. Automatically the outcome of the non working spouse is a refund. Often the working partner is keen to provide bank details, but one of the conditions is that the refund is paid out in a bank account that is at least in the name of the non working spouse. It can be a joint account. That depends on age and year. We often see that large corporations offer their employees an expat package which includes the income tax return being completed by one of the big four tax consulting companies. However, not part of that package is the spouse, hence the refund is not claimed. We can file for max five years back the income tax return. If you provide us the filed tax return by the big four companies, we create the tax return for the spouse to claim back the refund over the past 5 years. We do not refile the already filed tax return by the big four company, as we do not want to interfere with their expertise.